​Are you ready for a transformational experience that will nourish your spirit and fast-track you to live your dreams? Picture yourself being gently guided to access and live your hearts truth and highest calling, while nestled in the soothing warmth and beauty of this oasis of self-love and wellbeing. 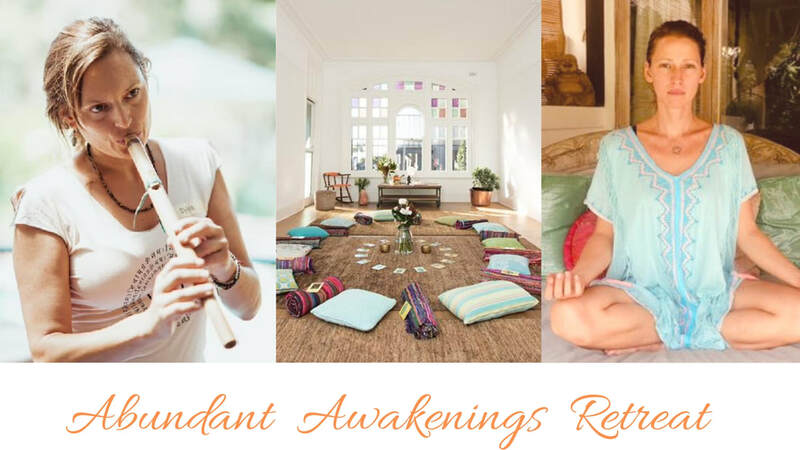 Set in the heart of Bondi Junction, Heart Space Manor is a home away from home for many who come to up-level their self-knowledge and spiritual wisdom, and rejuvenate their soul and body. Over 2 uplifting days, you will be nurtured and gently guided to expand what is possible for yourself, your life and for your future. You will be supported with sound healing, conscious processes, movement and delicious Ayurvedic food, as you fill up on the ancient sacred wisdom and modern science of the Law of Attraction. Do you want to relax, heal and get inspired? Align your life with your deepest truth, to live your purpose and experience your divine nature and infinite capacity. Through daily movement, meditation, guided journeys, teachings and breathwork, you will shed lifetimes of fears and dysfunctional behaviours, and step into the fullest version of yourself. Old problems, ideas and identities will slip away, as you access your whole self and the exquisitely balanced perfection that you are. From this place profound gratitude arises - for our lives and our journeys, just as they are. From gratitude - or life without resistance - real change happens, through thought, intention, love and the Law of Attraction. The Law of Attraction states that you get whatever you focus on with strong emotion. Learn how to balance your emotions to live more of your life, in the bliss, peace and unconditional love that underpins everything. The better you feel in the core of your being, the greater the things you attract and experience, and the healthier you will be. A whole new world awaits through acknowledging, understanding and balancing your karma, and getting into right relationship with yourself. Be even more present, as you remove the blocks in your life, so the synchronicities and magic flow abundantly! DON’T MISS: Our exquisite sound healing journey with the wonderful Petra Mountfort, fresh from Peru! NOW TO BOOK YOUR SPOT. The first 3 registrations will receive a complimentary 1-hour phone coaching/healing session to upgrade your experience of life on every level. Samantha Hoogenboom is an experienced healer who works with CEO’s, government officials, celebrities, abuse victims, troubled children, bereaved people, new parents and everyone in between, to assist them to breathe easier and be more present. Samantha’s Dutch-Indonesian heritage, her 15 years living in cultures such as Japan, Bali and London, as well as her early interest in anthropology and the work of Buckminster Fuller, led her to seek answers to life’s great mysteries, outside of cultural norms and belief systems. She now works with people to clear conditioned programming and to liberate their energy, so they experience more gratitude, wisdom, connection, opportunities and fulfilment. She has assisted clients privately for 12 years and has facilitated group wellbeing events for the past 6 years in Australia, Europe and Asia. It wasn’t until her Yogic studies and participating in Kirtan Groups over 7 years ago that sparked a deeper interest in Sound and Vibrational Medicine. Sound and Intention = Healing! This resonated deeply. Journeying on a 3.5 year sabbatical that started in Spain, studying Sound Therapy, India, furthering Yogic studies, Reiki and different Energy healing, then South America, which connected her to deeper healing modalities including Ancestral Work, Women’s Circles and Group Workshops. During her journey to Peru, she was connected to Cacao in ceremony and has a great passion to share this heart opening medicine. She also has good knowledge of gut health, superfoods, abdominal massage and release work, crystals and essential oils.